Reading activities has always been seen as an important element in a person’s culture and education. The academic library is attached the academic institution it serves to user community towards readings and the main client are composed of students and academic staff. The library resources and services are the mirror of the academic goal of the institution and meet the information needs of their users. This studied reviewed focus on the activities engaged in by the academic community in their leisure time, the kind of newspapers they read. The role played by institutional library in developing the newspapers reading habits of the students and academic staff are also been given due importance. 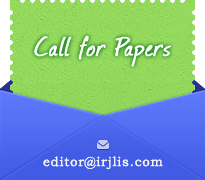 In this paper researcher are analyzing and indicate that the purpose of reading newspapers, preference of language, timing they are spending, newspapers reading is necessary to help readers requisite information and meet their information requirements among students and academic staff in Jahangirabad institute of technology, Barabanki. Tags: Newspapers, Reading Habits, Users Study.